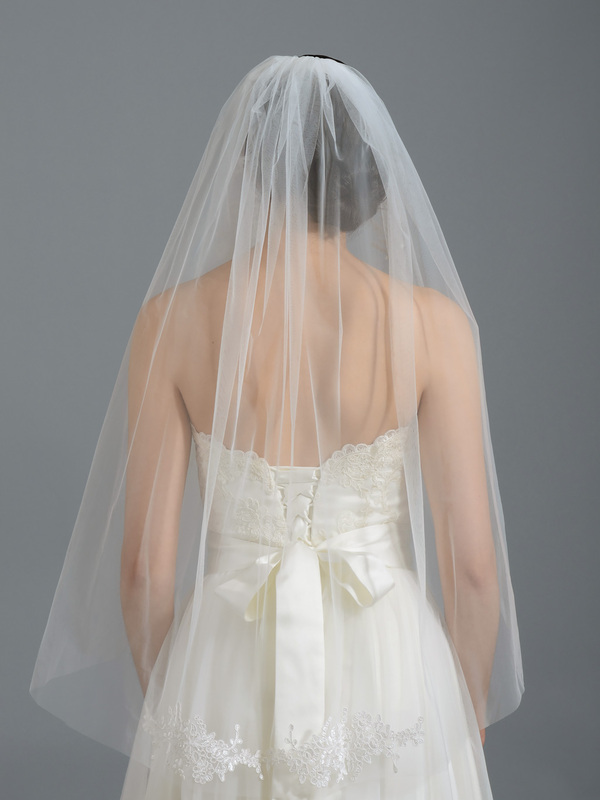 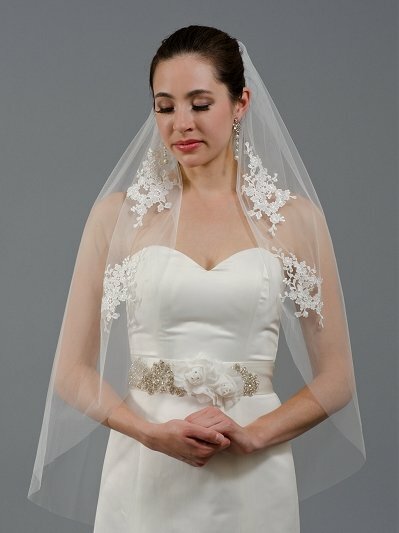 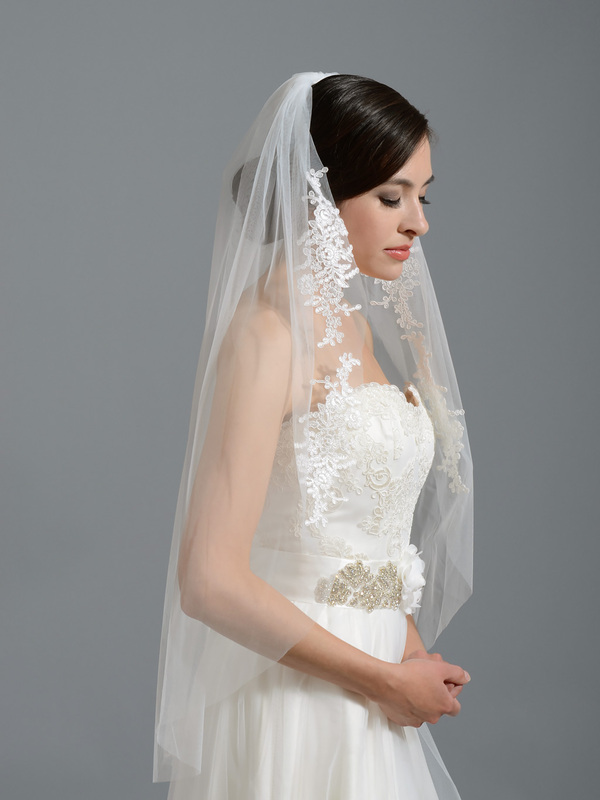 This veil matches my topper and completed my strapless wedding dress. 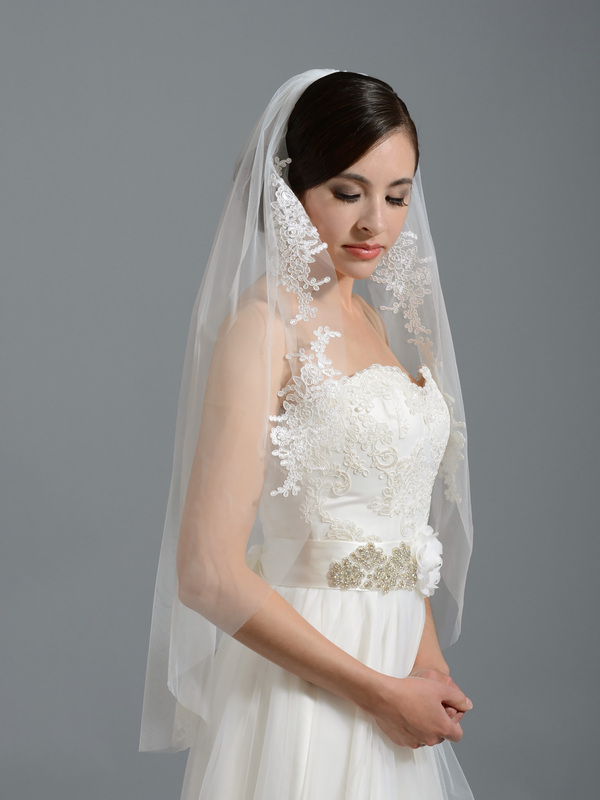 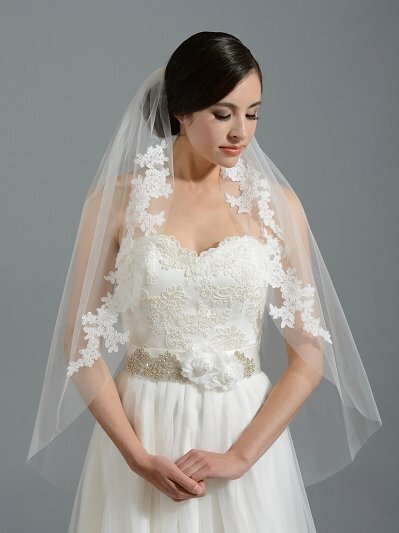 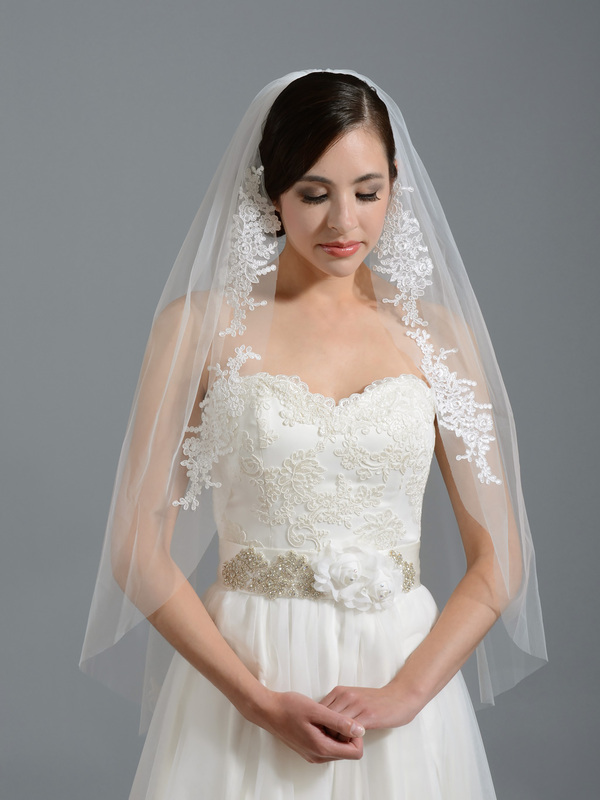 I was originally looking for a two-tier, but this one-tier is so beautiful on its own with the lace detail that I had to get it! 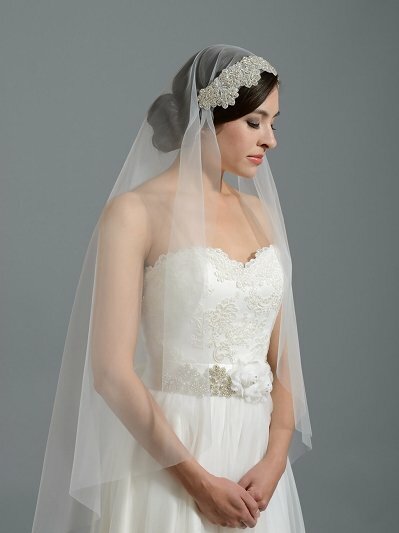 10/10!